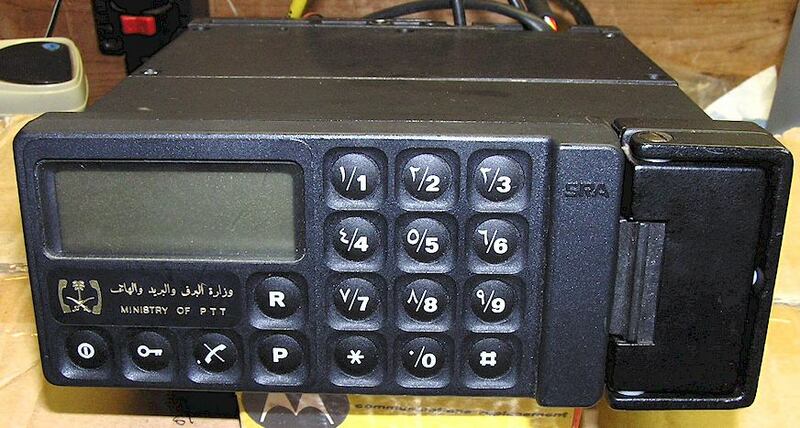 I acquired this Ericsson (SRA) C600 Roadcom phone some years ago. What makes it different is that it was sold to a middle eastern market. 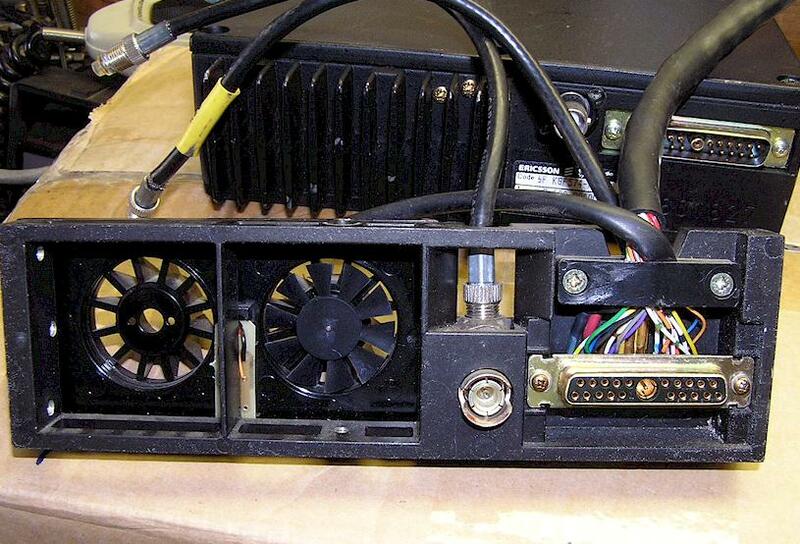 It is the only phone I have run across with small blower fans on the heat sink. 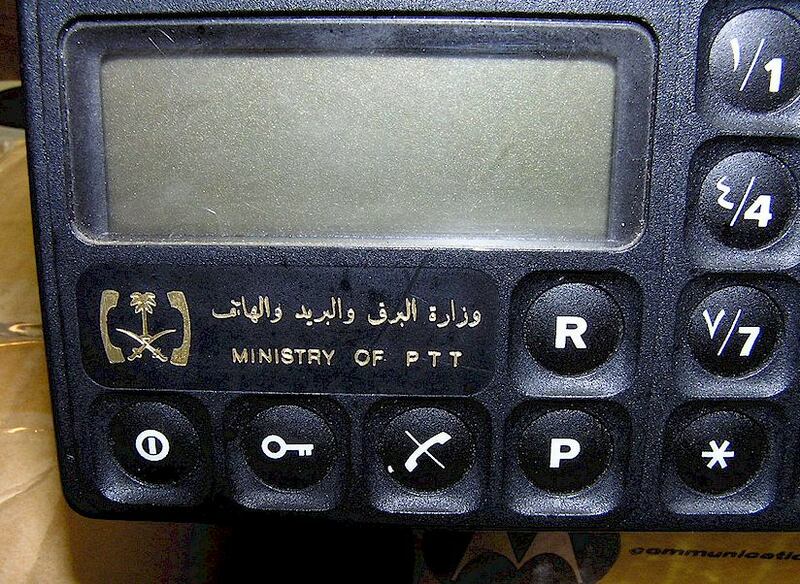 I am not sure which country this phone was intended for - - Saudi Arabia? There is a separate handset and cradle, not shown, as there is on the "standard" C600 Roadcom. I believe this set is UHF NMT format. "Similar changes occurred in Europe. The Nordic countries and Great Britain were the first to start mobile telephone systems in the early 1980s, while other countries followed in the 1990s. However, the first country in the world with a functioning cellular system for mobile telephony was actually Saudi Arabia, which in 1981 took into operation a system delivered by Ericsson." "Ericsson’s entry in mobile telephony began in earnest with the AXE system. Thanks to AXE, which was the world’s first completely digital system, Ericsson had a strong position when contracts for the first mobile systems were awarded in the late 1970s. The Nordic countries all chose a version of the AXE called MTX for their NMT networks, as did Saudi Arabia." "The large Saudi Arabian contract, which was delivered in partnership with Philips, was expanded in 1979 to include a mobile telephone system. After a number of discussions, the parties agreed to use the NMT standard and that Ericsson would supply the entire system"